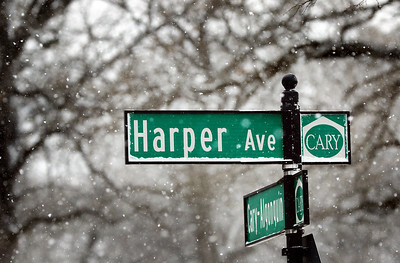 Matthew Apgar - mapgar@shawmedia.com Snowflakes collect on a street sign for Harper Ave during a brief snow Tuesday, March 13, 2018 in Cary. 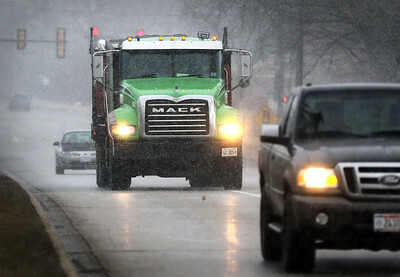 Matthew Apgar - mapgar@shawmedia.com Vehicles travel down Silver Lake Road during a brief snow Tuesday, March 13, 2018 in Cary. Snowflakes collect on a street sign for Harper Ave during a brief snow Tuesday, March 13, 2018 in Cary.